Winter is in full swing, and with the cold, dry weather comes cracks in your skin. Frigid temperatures coupled with a lack of moisture in the air join forces to wreak havoc on your hands. Medically speaking, dry skin is known as xerosis. As you age, your skin naturally becomes drier, but the winter months are especially unkind to your hands, regardless of age. When humidity levels drop both inside and out, there’s less moisture in the air to keep your skin hydrated. Many people also wash their hands more often during cold and flu season in an attempt to combat germs, which can strip the skin of naturally moisturizing oils. In some cases, dryness can get so bad that your hands will crack, peel, and even bleed. The simplest and most common way to alleviate the symptoms of cracked hands is to moisturize your skin. This also happens to be the best way to prevent skin dehydration in the first place. However, if dryness has already set in, your best bet is to opt for a heavy-duty hand cream. 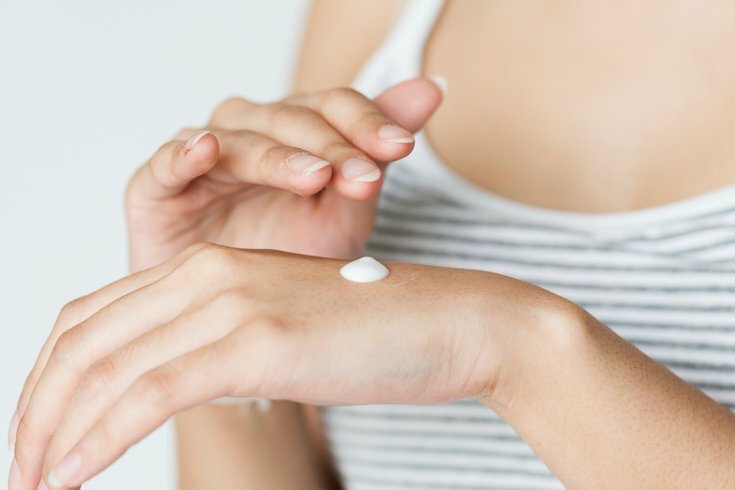 Like lotion, skin cream contains a combination of oil and water, but the ratio of oil to water is higher in creams, making them better suited for fighting extreme dryness. Whether you prefer a lotion or cream, the key is to apply your moisturizer of choice frequently throughout the day — a single application will not do the trick. In fact, one application only offers enough relief and protection for about five minutes. Five or six applications a day, on the other hand, will lead to noticeably softer, less irritated skin. You can also put your lotion to work as you sleep by investing in a pair of moisturizing gloves that you put on before bed and wear through the night. If you don’t want to spring for the kind that come pre-moisturized, try slathering petroleum jelly (or another moisturizer rich in heavier ingredients like dimethicone) on your hands before slipping into a simple pair of cotton gloves at bedtime. While you’re not likely to stop washing your hands, you can avoid drying out your skin by using a mild soap. It is also advisable to use warm rather than hot water, patting your hands dry gently and immediately following up with moisturizer. Investing in a durable pair of winter gloves or mittens will greatly reduce your chances for dryness. While cold temperatures alone won’t cause your hands to crack, the elements are often responsible for aggravating dry, dehydrated skin. Your hands don’t have to fall victim to the harsh conditions of winter. Making a few simple changes to your daily routine can help keep chapped skin at bay year-round.